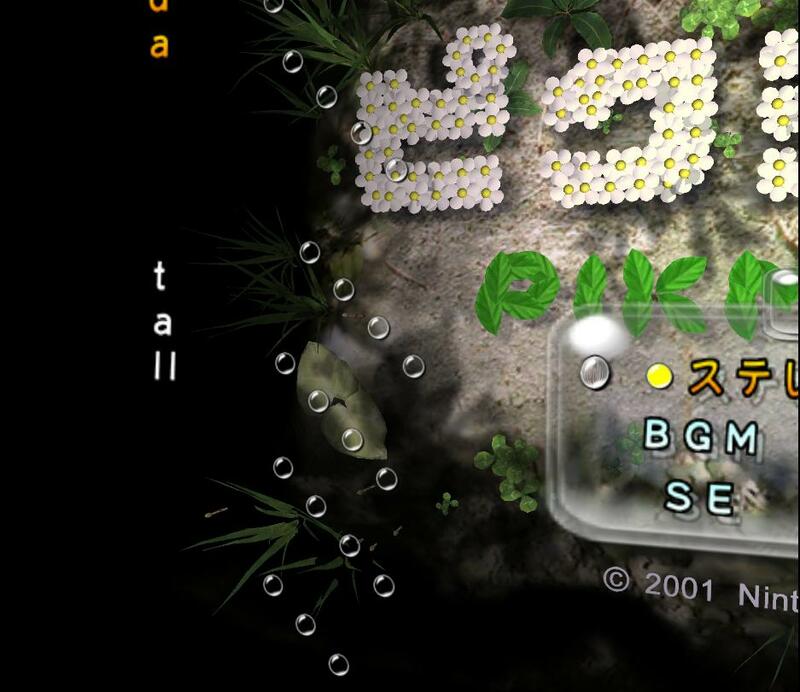 During the Game Developers Conference 2007, Shigeru Miyamoto mentioned that some of the elements of the Super Mario 128 tech demo were incorporated into Pikmin, as the multiple characters that are able to move on screen and complete different tasks. Probably this game had an interesting development cycle, even if we just saw it when it was almost complete. Infact, in the beta screens available there are just few differences in the HUD, but inside the Pikmin disc, much unused stages, contents and functions have been unused in the game, see the videos and images below. In the beginning of the game, much stuff have been changed on the development. On a magazine called Nintendo World, on Brazil, shows how the game have been made. Shigeru Miyamoto and his team spread the verb about their new creation for the Gamecube. Talk a little about the origin of the game. The demo 100 Marios was only an demonstration for the capabilities of the Gamecube or you planned to make a game based on it? SM: Yes, I wanted. And I still want. I used some ideas about that concept in Pikmin, but I’m still reserving some of those ideas for future projects. You had the idea of the character “like an plant” in the beginning? SM: No. They were totally different in the beginning of the testing phase. We called they as Adam and Eve. Shigefumi Hino: When the designers talked about the characters, we thought that would be better use a simple design to be able to show a lot of them at the same time. So we used the characters which had one ball in the place of the body, with eyes and noses. And the names were Adam and Eve. They were only two in the beginning, but the number was increasing, right? You see a lot of characters in one screen at the same time and all of them in movement. What the players should do? SM: In the beginning, the idea was only watch their lifes. I thought that, in the point of the view of the producer, this was an interesting idea. “Watch their life” was the theme. To give them love or make they fight. Pretend to be God. Depending of the decisions of the player, they could build a nest and have children. When we were developing this idea, we reach an impasse: what were the objective? This process made me more involved in the project. There was a wish to be able to control a huge group of characters using the new Control Stick C. After some time, this became the idea to grab and throw the characters. So we used the method of try-and-mistake to find what we should ask to the programmers to put in the game. Make something with the Artificial Intelligence of the characters was an important objective since the beginning. It was an surprise to see new characters and a brand new gameplay on the release of a new hardware? Masamichi Abe: New characters and new movements in the Controller was actually an exigence. SM: I knew everyone was thinking about the new concept, but I thought they were bound to the idea of making a game for “people who wants to play a game after the another”. I keep talking that we should create a game not only for game fanatics, but creating it for whom never played a videogame before. I believe that Pikmin became that type of game. The concept about inserting the Pikmins in a small place: this was created about the principle? SM: This was not decided until we finish the entire design. We did not had any idea for the world of the game. When we were working with the idea of Adam and Eve, we had an image about a primitive world – lots of villages, a fight against a mammoth. How much would survive? That was everything in big scale, the beetles looked like a Leviathan. With all this, we thought it was better to make the game in a more familiar world. We started to create the current world of the Pikmins about one year ago. That means that the size of the Pikmin wasn’t decided after the design finished? SM: Yes. Because of the Pikmin are plant-creatures, I thought they should have about 30 and 50 centimeters of height. Coling Reed: We thought create they about the size of a cat. What was the reaction of the team when the design of the Pikmin was show? CR: In the first design, they were only black. I didn’t liked it. No facial features, like eyes and nose. They were really like ants. I started to like them after they became colored. The Pikmins had flowers on their heads in first decision? SM: Yes. Their bodies were shaped after onions or bulbs, with many different body types – fat, tall, small, etc. Those differences don’t exist anymore, but we added the difference in the colors. Would not be hard for the GC animate 100 Pikmins at the same time with different shapes? SM: It could be done. 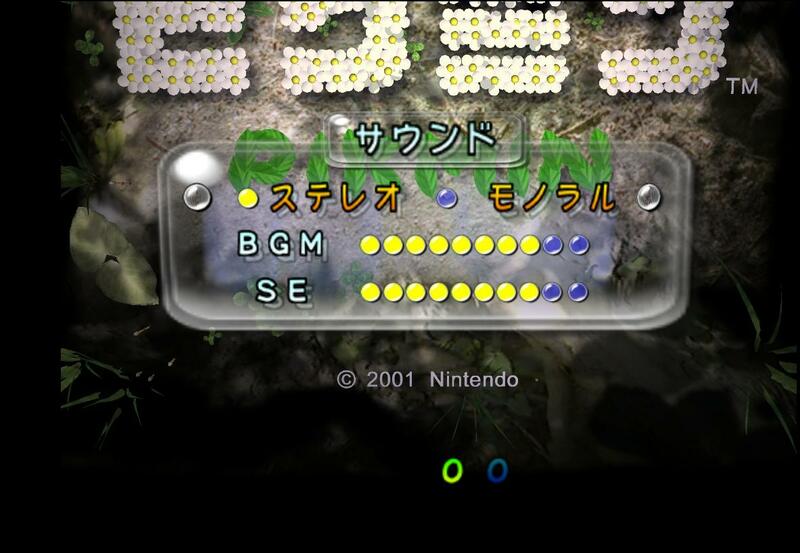 Also, it was possible to put a life meter for each Pikmin and create a new system for the players manage more complicated stuff – move the tired Pikmins for the left, separate their favorites for combat etc. However, the gameplay would be far too complex. We decided to discard those ideas. MA: The Pikmins which exist today were created with high level of detail. Which one look around and act differently, depending of the situation. SM: It’s kinda like of the hundred Marios moving simultaneously. When we command a lot of Pikmins, there always those who don’t work. Why? MA: I would like the players feel that Pikmin had free will. There was a piece of the programming code which allows that. The game looks more real, because there are Pikmin that obey you and others which don’t obey. SM: We could leave the Pikmins to act more freely, but if we exaggerate too much, the players would start to become frustrated. The Mario Club (the official Nintendo’s testing team) said that the E3 version was better, because the Pikmin followed the orders correctly. I said that they were confusing “better” with “easier” (laughs). What was the hardest part of the development of the game? MA: Following the order of the Mr. Miyamoto, that all the concepts of the game should be totally new and ensure that controlling that much Pikmin at the same time would not be frustrating for any player. SH: The hardest part was to create a new game which nobody had experienced before. We didn’t had much opportunities to develop totally new ideas for original games, which aren’t just sequels. Miyamoto did saw us working hardly without saying anything, and finally, after seeing our team struggling, showed us his ideas in two pieces of paper. It was a very strange concept. To be honest, that make me think he had alien friends. You guys already think of a sequel? SM: We have no idea for which type of sequel we could create. I would like to take Pikmin for the same popularity level of Mario. I have a lot of ideas which I couldn’t use this time. Thanks to the NW team for the Article. Thanks to gabrielwoj for the translating. In Pikmin 2, the game data folder holds up some interesting files. At the Pikmin files, the Purple Pikmin is named as “Piki-Black, these count in configurations, models and textures, meaning that in the first states of the game, the black pikmin would appear in the sequel. One of the most interesting things found in the Game Disc, are the Super Mario 128 leftovers. The Nintendo Company rest many files which seems to be from Super Mario 128, all located in one single folder, the “rocket” folder, which strangely, is only the Dolphin ship from Olimar. There are also models there where never been revealed, such as a Goomba, a Key (which probably from Super Mario Bros. 2) and a Pellet. After some time, another Key have been found, but a waaay bigger key. Together with an door. Probably you would need to open an door for some quest of the game. According to Susumu, it’s written “Decide”. Strangely, that the “A” Button was blue. It’s probably the prototype of the Gamecube Controller. This is Moon Sprite which probably would be used at the end of the day. It might be scrapped due to some levels are too dark. These are some un-translated sprites found in the Latin America Game. Thanks to Susumu for the translation! Some musics and sound effects are pretty unused in the game disc. There also is an “tall” option hidden close of the beta volume bar. The Screen Designer is called Tokihiko Toyoda, and what’s wrote on the place? Toyoda… It seems like an easter egg just for the developers. Debug Info, info that shows the objects values, his hitboxes and area of view, and many other things. ConkerGuru have discovered a Debug Menu on Pikmin and did make the Code. (Action Replay). The Debug menu shows lot of testing stuff, such as open Voyage Logs from the game, open a control test, open some effects and much more. Thanks to Susumu for translating the Debug Menu! There is also an Bug (an game program error) which takes the Player to Day 0 or Day 1 with time counter, the player cannot advance the game, due to the pikmin onion didn’t show. ConkerGuru also helped with model viewer inside the game, which doesn’t have all the models, but it has some (Nintendo probably deleted the rest of entries). The animtest map showed above, it’s used on the animation test. However, Rayfan decided to make a little search too into the Pikmin levels, and he did. He could export the configurations into the levels and load them, with they configurations and they models, see videos below! Thanks to gabrielwoj, Rayfan, ConkerGuru, Susumu and Spyke4995 for the contributors. Want see more? Click on this banner to go to the Pikmin Vs. Pikmin ~ ピクミンPage!